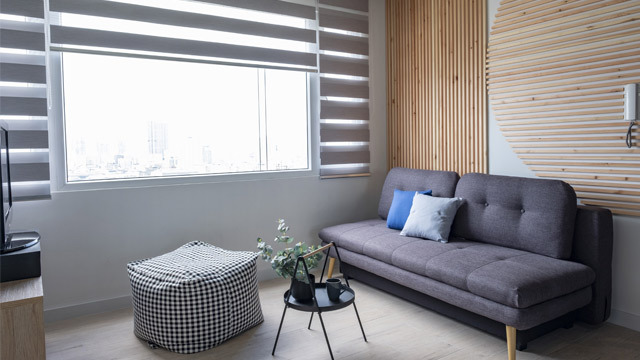 This loft-type condo unit is stark in a minimalist way, but cozy, because of the soft gray shades and tactile fabrics. 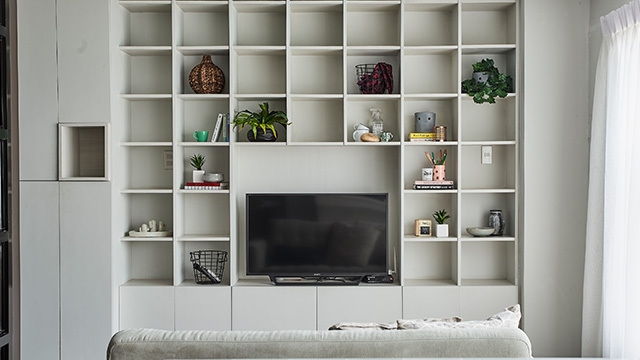 We especially love the grid-like floor-to-ceiling shelves, which become the focal point in the unit. This warehouse-turned-into-a-family-home has rustic, weathered finishes and an all-white palette. 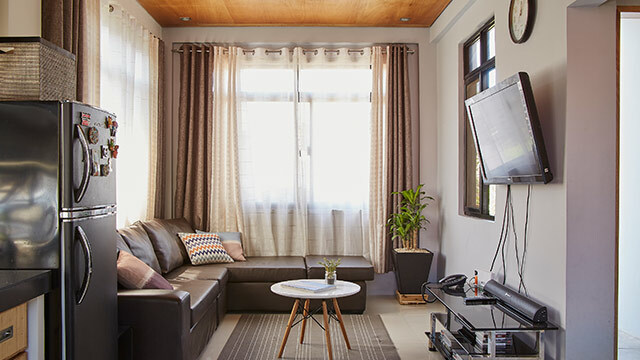 The living room uses the most basic of furniture pieces: a massive sectional sofa from Habitat and a center table from Triboa Bay Living. 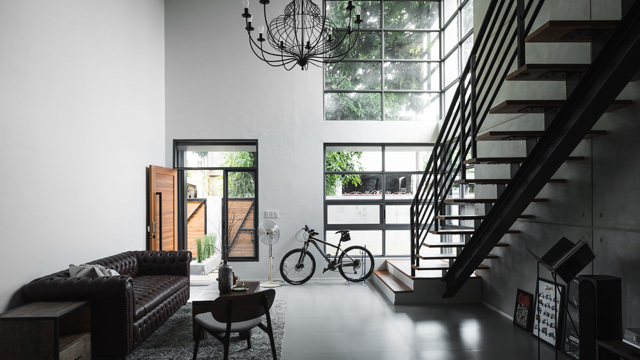 A floating stairwell cuts through the middle of the main living areas of this Alabang home designed by architect Michael Cu Fua. 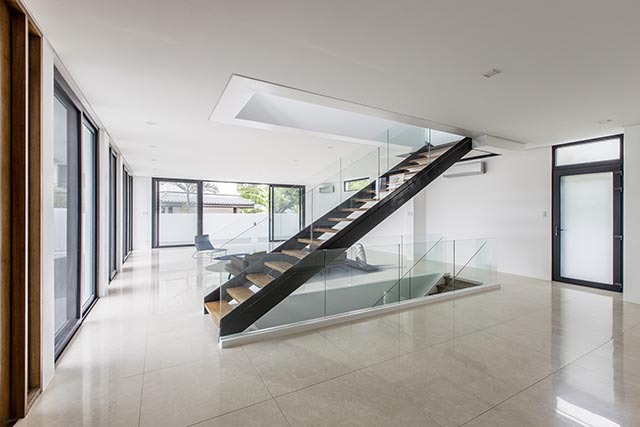 The stairs becomes a design element and focal point of the space. 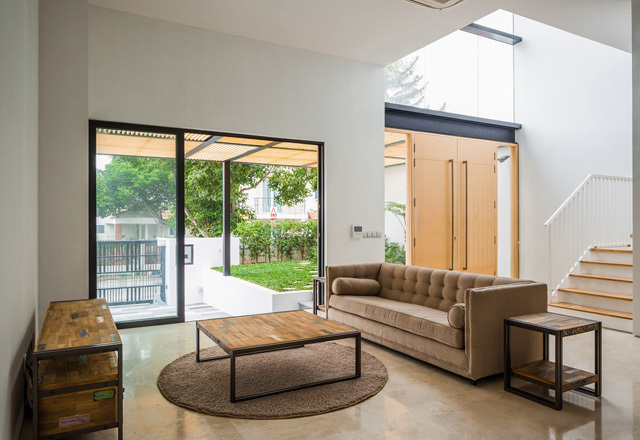 The double-volume ceiling by the entrance opens up the ground floor and allows natural light to wash the adjacent living area. 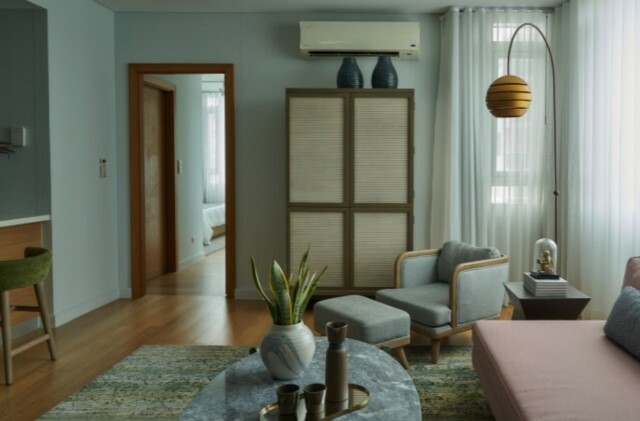 The 0932 Design Team kept to a "simple luxury" theme, using only the bare minimum of furniture and accessories, to direct attention to the bay windows framing Hong Kong's bay. 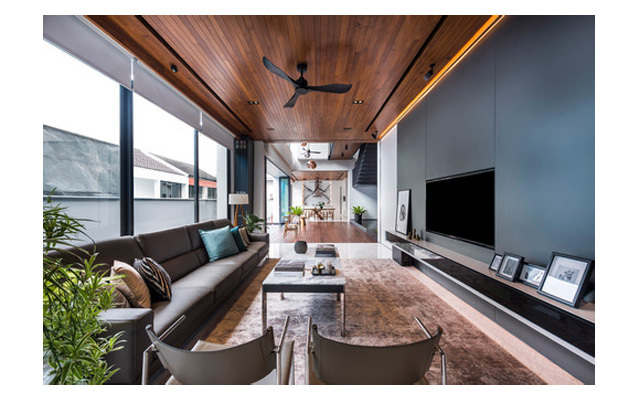 In this Singapore home designed by Distinct Identity, dramatic black metal finishes, natural wood, and subdued furniture colors make for a relaxed but modern interior. 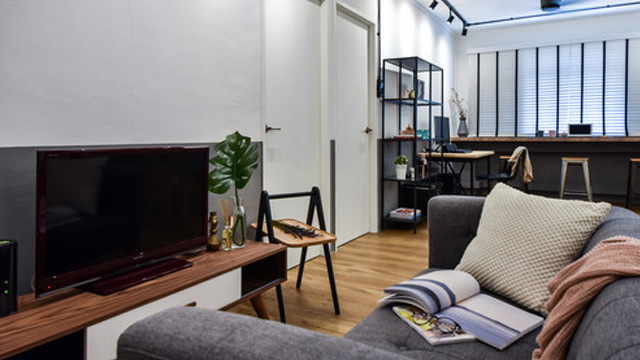 You can get a similar sofa at Commune, Shangri-la Plaza. In the ground floor living spaces of this house by ARQON, the graphic lines of the floor-to-ceiling windows and staircase act as a counterpoint to the simplicity of the living area across from it. 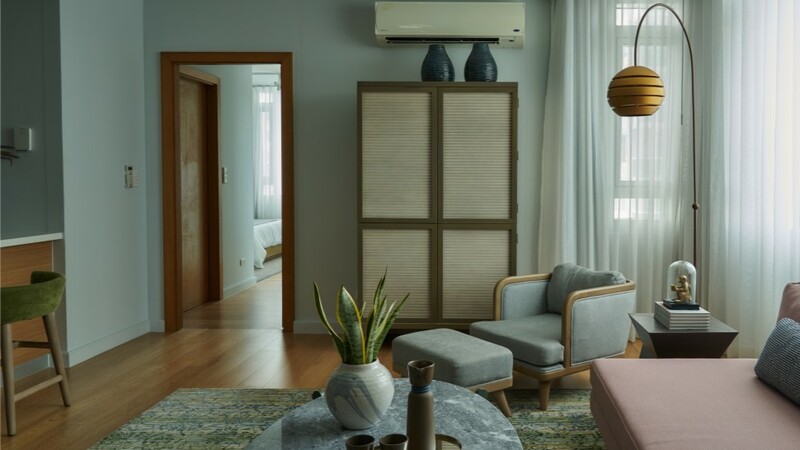 Low-slung furniture pieces with a mid-century modern feel work well with the detailed wooden accent wall and lighting fixtures by Triboa Bay Living in this enormous home designed by Minimalist Manila. 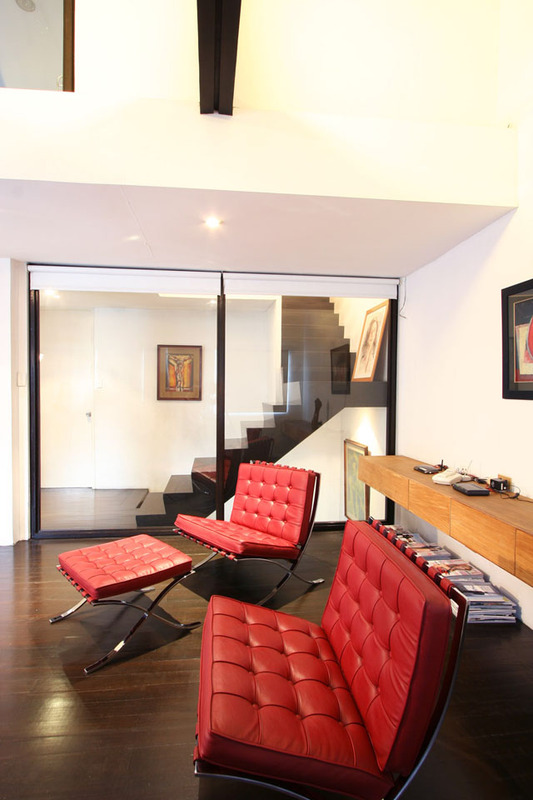 In this 1980s townhouse that was renovated by architect Ed Calma, the second-floor lounge gets a hit of bright color by way of lipstick-red Barcelona chairs. 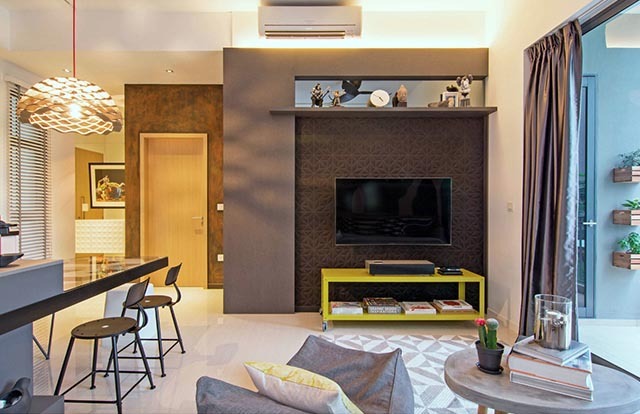 An accent wall, which serves as an entertainment wall, defines the living area from the rest of the open-plan space by KNQ Associates. 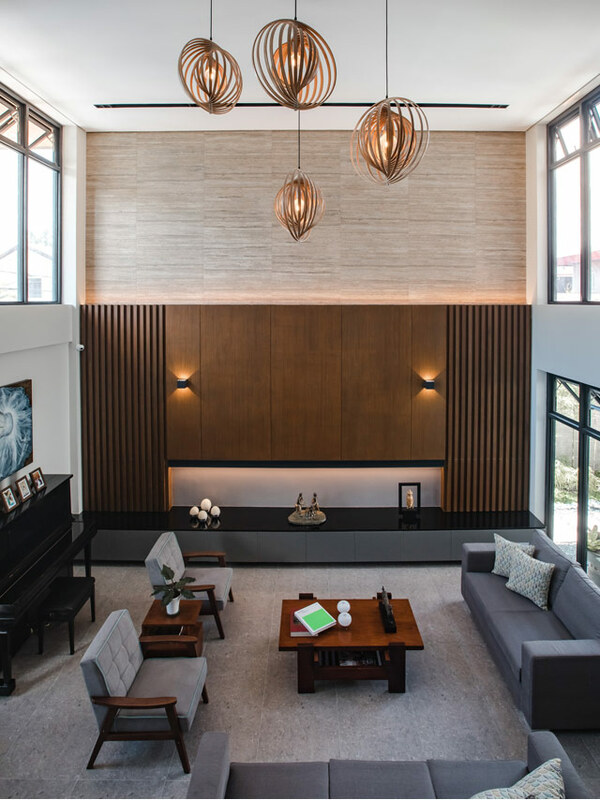 Ming Architects had to work on a narrow footprint with this home, but they maximized the space by keeping the interior spaces open and flowing. 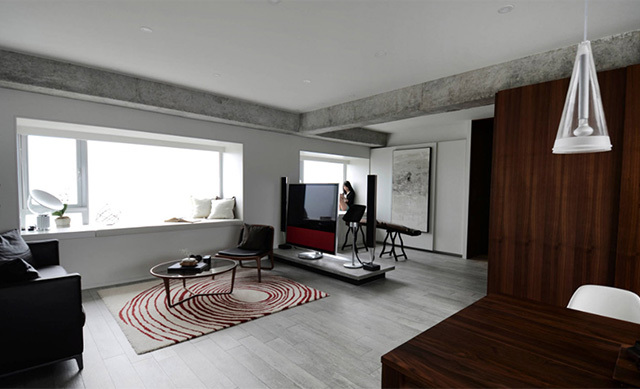 The Burmese teak wood ceiling and flooring add warmth to the minimalist modern rooms. Architect Alistair Sadie used a soothing neutral color palette of mocha, beige, and cream in his living room. "I also added wood features and greens as part of the interiors." 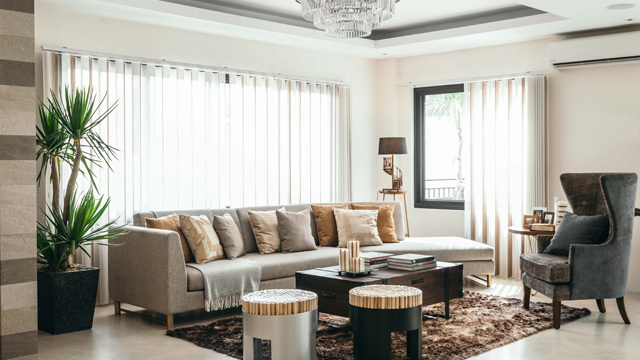 Architect Angelo Siochi added a subtle but modern Pinoy touch to this mostly-American-inspired house by using Kenneth Cobonpue's Chiquita stools as accent pieces in the living room. 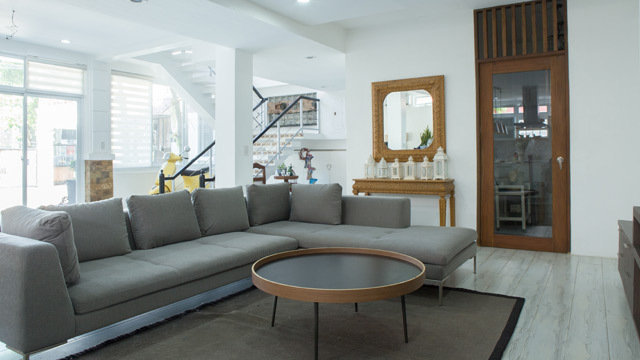 Leave it to interior designer Eric Paras to put an elegant, nostalgic twist to contemporary-modern interiors. The velvety textures of the soft gray and blush upholstery paired with the subtly mottled patterns of the marble table and area rug all come together to create a rich and visually satisfying tableau.